In this article we’ve written exclusively for Tuts+, we’ve made an A-Z list that breaks down the Pixelmator tools with a link to a tutorial on Tuts+ or a description of what each tool can do. Enjoy the letters A to C and then head for the rest to the tuts+ website. 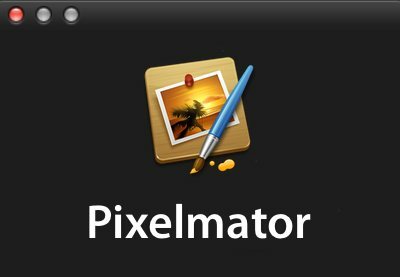 About Pixelmator: Shows a dialog window with your current Pixelmator version. Actual Size (Command-Option-F): Zooms the document on the screen to display it in its actual size. Add Layer Mask: Adds a layer mask to the currently selected layer in the layers palette. Add to iPhoto: Lets you quickly export the current document as a new image to your iPhoto library. Blending modes: Pixelmator has different blending modes to tweak how layers, tools and effects interact with other layers. Blur: A section in the effects browser with effects and filters for different kinds of blurring. Blur Tool: A tool for blurring areas of an image by painting over them. Bring Forward (Command-]): Sends the currently selected layer one step further to the foreground and one position further to the top of the layers palette. Bring to Front (Command-Option-]): Sends a selected layer directly to the foreground and on top of all other layers. Brushes collections: Clicking the gear icon in the Brushes Palette lets you choose from different collections with brushes. You can even create your own collections. Brush Tool (B): This tool works like a conventional paint-brush and draws soft strokes. Bump Tool: This is one of the liquifying tools in Pixelmator. It moves pixels away from the centre of the brush area as you click or drag on the image. This effect is useful when you want to simulate a bloated effect. Burn Tool: This tool darkens image areas by painting over them. Canvas Size (Command-Option-C): The Canvas Size command allows you to adjust the entire editable area of an image. Increasing the editable area adds more space; decreasing the area crops the image. Clipping mask (Command-Option-G): Turning a layer into a clipping mask lets you use the objects on the underlying layer as a mask. Clone Stamp Tool: This tool paints with a sampled part of an image. Color Palette (Command-Shift-C): Lets you choose colors in Pixelmator or the currently selected tool. Color Adjustments: A section in the effects browser with effects and filters for adjusting colors. Color Balance (Command-B): Brings up the Color Balance effect. Color Depth: Lets you choose between 8-bits per channel image editing and 16-bits per channel image editing. Color Profile (Command-Shift-K): Lets you choose different color profiles for your image or remove a color profile. Column Marque Tool: Creates a rectangular column shaped selection based on the height of the document and a predefined width. Convert into Pixels: Converts a Type- or a Shape layer into a rasterised layer. Convert into Shape: Lets you convert a Type layer into a Shape layer for further vector-based editing. Crop Tool (C): Use the Crop Tool to remove or hide portions of an image to create, focus or straighten your images. Custom Shape Tool: Consists of several standard defined shapes that we can easily add to our document. It also lets you access the Shapes Palette. Curves (Command-K): Brings up the Curves Adjustment effect.